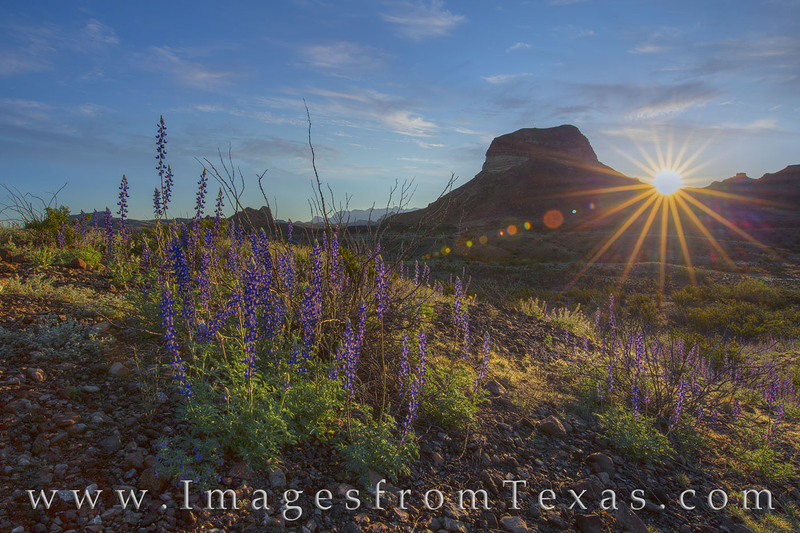 In Big Bend National Park on a cold March morning, bluebonnets rise to meet the warming sunlight. Here on the western slopes of the ancient Chisos Mountains, these hearty Texas wildflowers sometimes bloom when the winter and spring rains have been sufficient. This spring was an above average year for the state wildflower. Other years I've visited here and nothing existed but a sparse and ruggedly beautiful landscape. Photo © copyright by Rob Greebon.